Drummer of the heavy metal band Five Finger Death Punch. The group released their debut album, The Way of the Fist, in 2007 and have had hit singles with such tracks as "Under and Over It" and "Bad Company." He co-founded Five Finger Death Punch in 2005 with guitarist Zoltan Bathory. 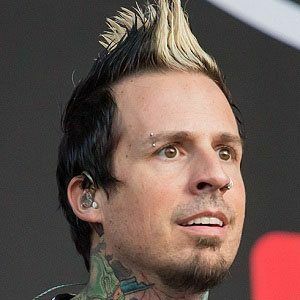 He published an auto-biography titled Death Punch'd--Surviving Five Finger Death Punch's Metal Mayhem in 2014. His father, Gary Heyde, was a country music songwriter and his mother, Glory Heyde, was an actress. He has a sister named Natalie. He performs alongside frontman Ivan L. Moody in Five Finger Death Punch.